A very bland and factual record of a 3 hour flight in an Anson, carrying out numbered exercises that mean nothing 70 years on. So how did Broody record this in his journal? The morning after a Whit-Monday Sgts mess party – lots of bad tempers and fingers. Not at all successful. All of a sudden, the unassuming line in the flight log comes to life with a first-hand account of what happened that day. Perhaps even better, Broody kept the Instructor’s Flying Assessment Report and glued it into the journal. I hope the quality and depth of material has whetted you appetite for the time when Broody joins 488 Squadron and goes operational. Between now and then, there will be more posts setting the scene; and introducing the Squadron and the aircraft they flew. Plus of course, more extracts from Broody’s journal as he continues his training. Andrew John Broodbank was born on 30th November 1922 in Croydon, Surrey. 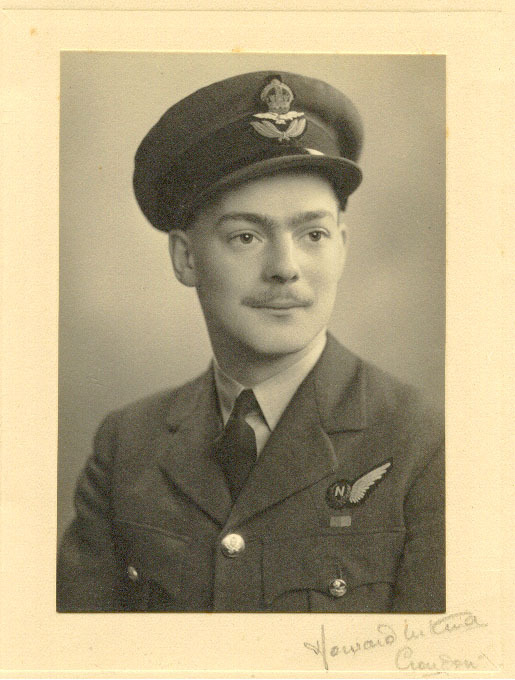 Aged 17 when war broke out, he attended Cambridge University and joined the Cambridge University Air Squadron. How he joined the RAF is unclear, but on 18/v/42 he received a letter from the Air Ministry welcoming him to the Royal Air Force as an airman. In April 1943 he began his Navigation training at RAF Jurby on the Isle of Man with 5 Air Observer School. He was known to his fellow airmen as Broody.